Timothy Chandler (left) helped Frankfurt avoid relegation in the Bundesliga play-offs. After helping Eintracht Frankfurt avoid relegation, American right-back Timothy Chandler can now turn his attentions to the Copa America Centenario, where Jürgen Klinsmann's USMNT are hoping to to claim their first triumph in the competition. 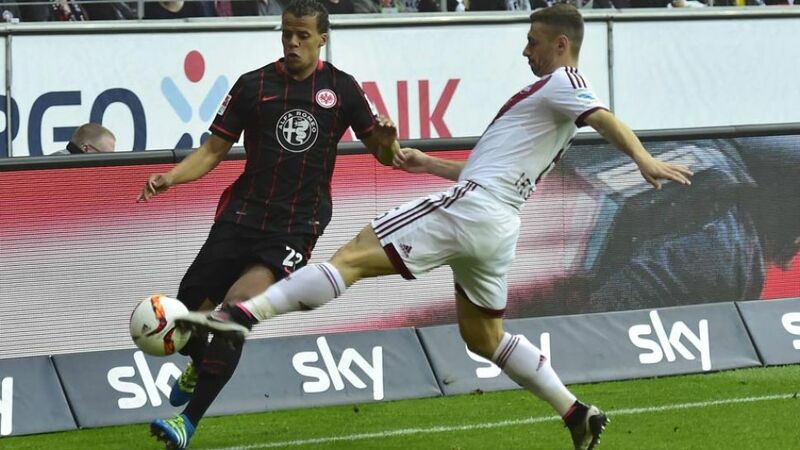 A persistent knee injury restricted Chandler to 12 appearances for Die Adler this season, but he returned in time to help steer Niko Kovac's men to safety, putting in a pair of sterling performances as Eintracht edged 1. FC Nürnberg 2-1 over two legs in the promotion/relegation play-off games. Chandler hobbled off 69 minutes into the latter of those to be replaced by Aleksandar Ignjovski, but any doubts that he would be fit for the Copa were assuaged when he texted USMNT assistant manager Andreas Herzog on Monday saying that he would report to the Americans' training camp in Texas as planned. "I can’t celebrate (staying up) that much as I have to go to the national team," he laughed after Frankfurt’s late, great escape. And that upbeat attitude helped the defender through a rollercoaster-ride of a season. After struggling for form and being beset by injury under Armin Veh at the start of the campaign, the right-back quickly became an important part of Niko Kovac’s plans when the new coach took over from Veh in March. Frankfurt had looked dead and buried at the time but Chandler’s return to the starting line-up coincided with the team embarking on an impressive run of form under the former Croatian national team coach.